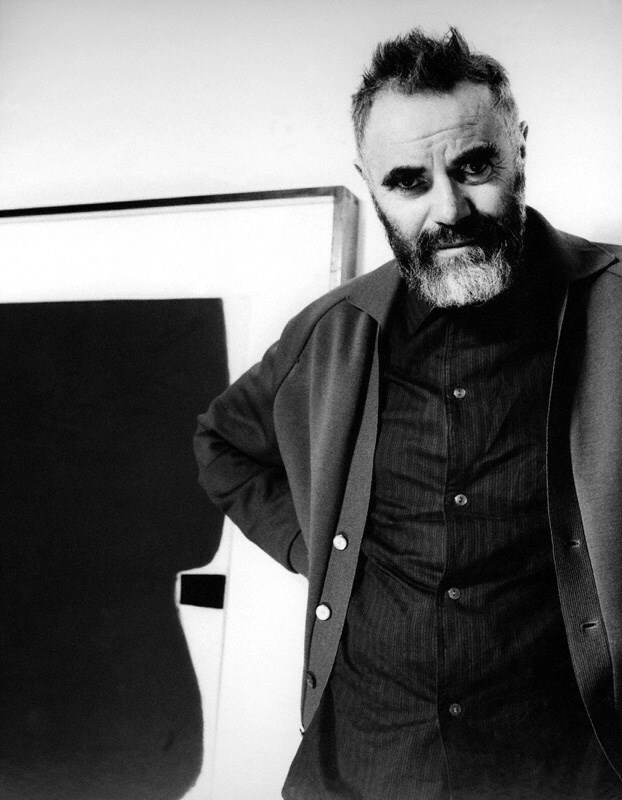 Victor Pasmore (1908 – 1998) was born in Chelsham, Surrey, the son of a well-known physician and mental specialist and an amateur painter. He was educated at Harrow School where he first became seriously interested in painting. Following the sudden death of his father he had to abandon his studies at the Central School of Arts and Crafts where he had studied under A. S. Hartrick, an artist who had worked in France and who knew van Gogh. Pasmore, who had expected to go Oxford and then on to The Slade School of Art, now had to find employment as a clerk in the Public Health Department in London instead, a job he held until 1937. During this time he joined the London Artists’ Association and had his first solo exhibition at their Cooling Galleries on Bond Street in 1933. In 1937 Pasmore left the Public Health Department and formed an independent art school with fellow artists Claude Rogers, Graham Bell and William Coldstream in Fitzroy Street. The school’s first show in 1938 coincided with its move to 316 Euston Road which led to the art critic Raymond Mortimer to identify them as the Euston Road Group. Pasmore himself moved to a studio at 8 Fitzroy Street, formerly occupied by Sickert and Whistler, and spent his time teaching and painting. Pasmore was Director of Painting at Camberwell School of Art from 1941 to 1949 when he moved on to The London County Council Central School of Arts and Crafts where he introduced a basic form course. He went on to teach art at Durham University, Leeds College and Newcastle University until 1960 when he decided to finish his teaching career and take up full time painting. Pasmore abandoned visual representation and developed a purely abstract style in 1947. His work, often in collage and construction of reliefs, pioneered the use of new materials and was sometimes on a large architectural scale. He held his first abstract solo exhibition at the Redfern Gallery, London, in 1948. Herbert Read, an important art critic of the time, described Pasmore's new style as 'The most revolutionary event in post-war British art'. In the summer of 1950 he visited St Ives where he became associated with Ben Nicholson and Barbara Hepworth and joined the Penwyth Society, the local exhibiting group. Pasmore was a trustee of the Tate Gallery, donating a number of works to the collection. He gave a lecture on J.M.W.Turner as 'first of the moderns' to the Turner Society, of which he was elected a vice-president in 1975. His work has been exhibited widely all over the world including representing Britain in the Venice Biennale in 1960 and the Sao Paulo Biennale in 1965, the International Art Exhibition in Tokyo, Documenta II in Kassel, Germany and the travelling exhibition “British Art Today” in the U S A. In more recent years retrospectives have been held at Marlborough Fine Arts in London and at the Serpentine Gallery, London, in 1991. Victor Pasmore has also had paintings included in the “Changing the Process of Painting” Exhibition at the Tate Gallery, Liverpool in 1999.